Mix of pictures from 2009 bike trip down the Nashua River Rail Trail, and around the 2004 fall foliage season from around Winchester and Lexington. On the eastern edge of the Prospect Hill Park is a tall cliff with no less than three different overlooks of Boston. 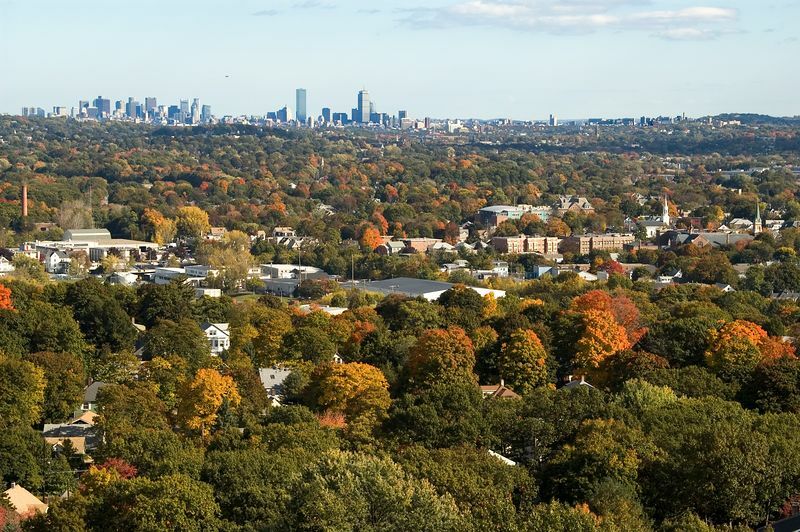 This is a picture of Boston from the middle overlook showing both the Boston skyline and the foliage colors of the towns of Waltham, Watertown and Cambridge.